It feels like the time has come for me to write a blog on nutrition. This also has a direct read-across to nutrition for marathon swimming! Ever wondered why some runners actually put on weight training for & finishing a marathon? Why did one of the fittest human beings in the history of the planet, Sir Steven Redgrave, end up with type-2 diabetes? How come we actually put weight on & 99% of diets fail in the end?? I hope you find this useful & might begin to explain these few questions as I have had an experience with weight loss and performance which has left me rather evangelical & thus willing to share my findings. To be clear, most readers of this blog will know that I didn't grow up with swimming - I am NO authority on marathon swimming (I could barely swim a mile until 2010) and I also didn't grow up learning much about nutrition - I am therefore NO authority on nutrition either! (How's that for a health warning/disclaimer!) It was mainly meat and potatoes with over-cooked veg when I was growing up but the finest roasts for mankind! (Be sure to watch the 8 minute video within the piece as it explains a great deal). 2. I was getting properly fed up with feeling bloated all the time. It is hard to put in words how frustrated I was with being so bloated, feeling generally inflamed & helpless unable to shift the body shape with training alone. 4. I couldn't get my head around WHY I was over 6 stone heavier than my brother who took NO exercise WHATSOEVER! For crying out loud, exercise is supposed to be good for you! 5. If I could easily lose some weight I actually might be able to swim faster! 6. I had only ever eaten whatever I entirely wanted to eat my whole life. How cool was that? If I wanted a beer, I had a beer (or a few), if I wanted ice cream, I had an ice cream (of 1/2 tub of B&J Fish Food!) if I wanted a McDonalds I had a Big Mac Meal (or 2!) with apple pie(s) of course! 7. I have been led to believe that waist size is a key marker for abdominal fat. My waist size had been doing nothing but expanding for years. I got up to a 40'' (I am now 36''). Perhaps this would address the lurking abdominal fat issue! I absolutely believe waist size should concern us all given what we know now. I used to suffer from EIB but that asthma has now gone. I don't need to take that medicine. I am not struggling for breath EVER. 1. 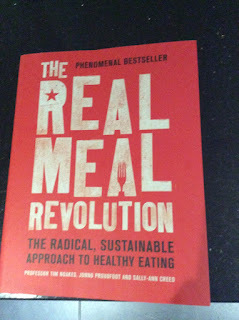 After reading the Volek artcle (above) I then read 'Why We Get Fat' by Gary Taubes. I began to realise that it is the carbs (not the FAT) that does the damage. The pyramid of food we were (and still are!) taught is sodding wrong for crying out loud. The NHS nutrition guidelines are wrong as are the ones in the US! Only Sweden has it right and has changed.....can we please WAKE UP! That really depresses me. We obviously now need to RE-LEARN things from scratch. I feel thoroughly lied to tbh and having to re-learn everything about nutrition aged 42 years! 2. I then read the great Jeff Volek book on Low Carbohydrate Performance (Here) and realised that I have only been accessing my glycogen stores of 2000 calories rather than becoming keto-adapted or a fat burner that can access the 40,000 calories that would be available to even a normal thin human being. Most of us ignore the bigger and better fuel source. 4. I read the other Jeff Volek book on Low Carbohydrate living and it was all beginning to completely suit me and make sense. We kept cooking High Fat Low Carb stuff which funnily enough is higher in taste and provokes you to think more about what enters your frying pan/stomach. 5. I continued to make alterations to my diet switching certain things for more natural options - i.e. Swapped Beer/Cider for Gin/Wine!, Ice Cream for Raspberries & Double Cream ('ave it! ), no potatoes, no pasta, no chips, no rice, no wholemeal pasta (bovvered! ), no chocolate (the odd piece of 90%+ dark chocolate!) and no crisps (but found some great natural pork scratchings). The kids have been encouraged to eat more of whatever they want at school (Pizza & Pasta) as they aren't going to be served much of it at home. I am the cook and am not going to cook 2 meals a night! 6. Our fridge now has a shelf full of various types of cream (first time in our 18-year marriage) as fat is NOT bad for you. We have more seeds, types of nuts and have to buy a shed load of veg to last us the week. This regime is awesome as it forces you to turn to REAL FOOD for the soution..
7. I count carbs now not calories. Most people I observe do the reverse which denies them and calories in v calories out does NOT work btw. I don't deny myself other than to stay around ca. 50g of carb a day. I don't feel like I am denying myself in any way. 9. I have still had a Gin & tonic (slimline) and at least one glass of wine each night! Gotta live, innit. 10. I have realised that I tend to do better eating EARLIER in the evening. Dinners at 8.30pm with bed at 10pm are a killer for the weight maintenance! 11. The following are what I would consider to be superfoods: Cauliflower, Black Pudding, Eggs, Cream (especially double! ), most fish and meat, Avocado, Broccoli, Mushrooms, Almond Butter, Hazelnuts, Coconut butter and pork scratchings! 1. I now eat strawberries/raspberries and natural yoghurt before a session. Sometimes I do massive 5km sessions on no fuel at all and feel fine with a constant energy source I am tapping into. 2. I also love almond butter which fills me up before a session - you can buy the natural stuff at Sainsbury's and it lasts forever. 3. I bought some UCAN sports nutrition powder to replace the Maxim I had before because the UCAN does not produce insulin spikes. 4. My body is leaner and I am faster, more in control plus times have come down during the sets that I do (that's according to my swim buddies not me). I feel more sustained and adapted to burning the larger tank of fuel than a desperate need to sugar load and hit jelly babies or stock up on maxim before/during training. This leaves me feeling smug but not lacking in muscle! 5. After training I eat an omelette with greens etc or bacon, eggs, avocado and some tomatoes. 6. I cut out latte's (lactose sugar!) and have an Americano now (with cream if/where I can get it). 7. I feel more in control and less at the mercy of carbs & the nonsense guidelines I have always believed - what a sodding joke! 8. Key feeling I have is one of control over my own destiny rather than helplessness. This is a regime and way of life for me now NOT a diet - there is a difference! I saw my Doctor recently for my Lake Geneva medical and have had some blood results from 4th Jan. I can compare all my info from detailed bloods taken 2 and 4 years ago. My HDL (good cholesterol) is still brilliant and outside of the upper range but got even better. Hooray! Hopefully provoked by exercise and eating loads of sushi! Before, I was genuinely concerned that if I carried down this path then my poor health and marathon swimming would end up with a linear relationship - i.e. I would do the swims but end up the size of a bus with a whole bunch of people on social media applauding me! This marathon swimming sport of ours is unique and exceptional as it demands a great deal from our bodies in terms of endurance. The traditional school of though is to 'man-up', 'eat pies' and put on weight to better endure the cold. 'Of Course you must carbo load' I have heard repeatedly over the years when I meet so many people. THAT I am totally sure is NO LONGER the path for me now. I am not advising anyone on what they should do as we are all different (listen to yourself!) but I feel like I better understand what does the damage and what I can do to change it. I can't go back to the old days as I realise that at the start of this I was becoming mildly insulin resistant with a BMI outside the healthy range (fine now). I can't go back as I will put it all back on to where it was at the beginning. Over the coming months I will be experimenting with feeds & nutrition to learn how to nourish myself naturally which might have a bearing on the type of sensitive stomach that I experienced after my EC swims. 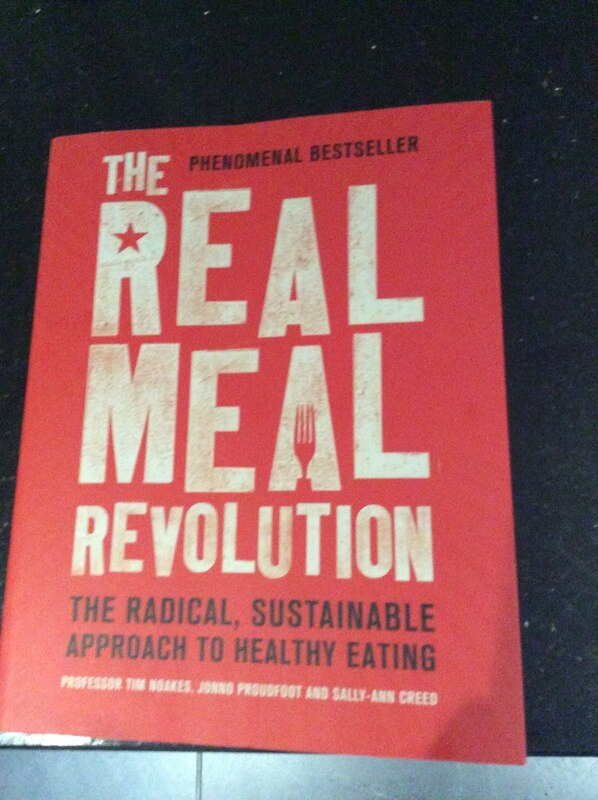 If you only buy 2 books, buy the Volek Sports Performance one and the Real Meal Revolution. You could also search for all those people on YouTube - they have done some brilliant videos. Also check out the work of Professor Tim Noakes on the same subject. Let me know how you get on! Good luck!